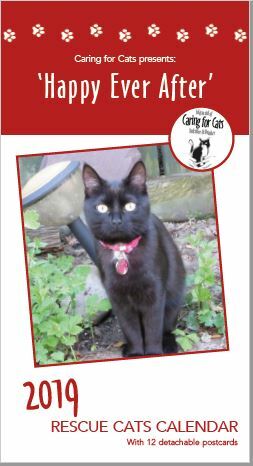 Why choose Caring for Cats? We screen for two diseases that are fatal to cats – Feline Immunodeficiency Virus (FIV) and Feline Leukaemia (FeLV), which can pass from mother to kitten or between adults that fight or mate. We insist that this testing is carried out only by a vet on venous blood (blood obtained by direct puncture to a vein) for the most accurate result. Our vets give each animal a thorough physical examination and carry out any advised treatments – irrespective of the cost. Each animal will have been examined by a vet at least twice before they are ready to go to our Homing Centre. 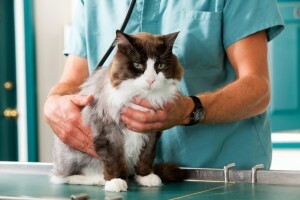 All animals are regularly treated against fleas and worms using the most effective treatments. To protect against fleas we use Advantage spot-on for cats every month; for the treatment of roundworms and tapeworms we use either Profender spot-on or Drontal oral tablets every 3 months. All animals are microchipped which will be transferred into your name on adoption. All adult cats are neutered on entering the charity, if not already done. If not yet 3-4 months, kittens will be neutered at that age by returning them to any Swanbridge or Battle Flatts practice. Receive 4 weeks’ FREE Petplan insurance on the day of adoption, ensuring your new pet is covered immediately for illness or injury up to £4000. You also have the option to continue the insurance as a ‘Covered for Life’ Policy, even for cats aged over 10 years – a unique benefit of our Charity Cover. We strongly recommend everyone continues insurance cover before the free period ends, as time and again it has proven to be invaluable when unexpected accidents and illnesses occur. Although we ensure all animals are healthy at time of homing, no-one can predict the future. This is why we work with industry-leading pet insurance provider Petplan and issue Charity Cover for all our rehomed animals, with no upper age limit. The cost of these treatments and benefits would be at least £180 on the highstreet, yet the minimum donation we ask is only £85. We are always grateful to the people who are able to donate more than this where possible.